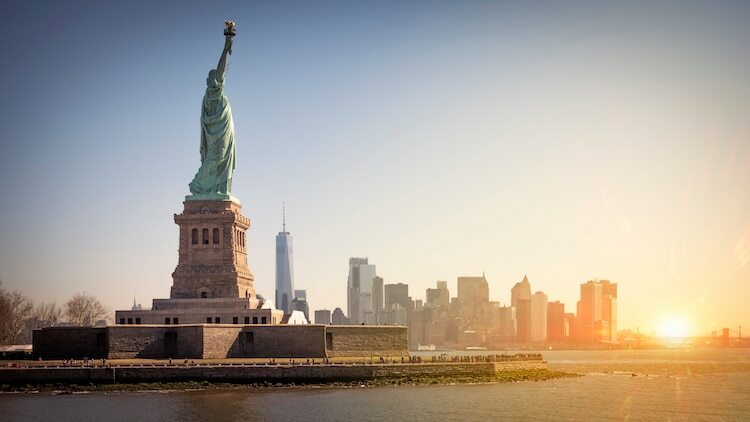 For centuries, the Statue of Liberty has stood as an illuminating symbol of independence. Situated in the New York Harbor, the colossal sculpture has become a fixture of the city’s skyline, captivating native New Yorkers and arriving immigrants alike with its allegorical beauty. If you want to learn more about Lady Liberty, you’ve landed in the right place. 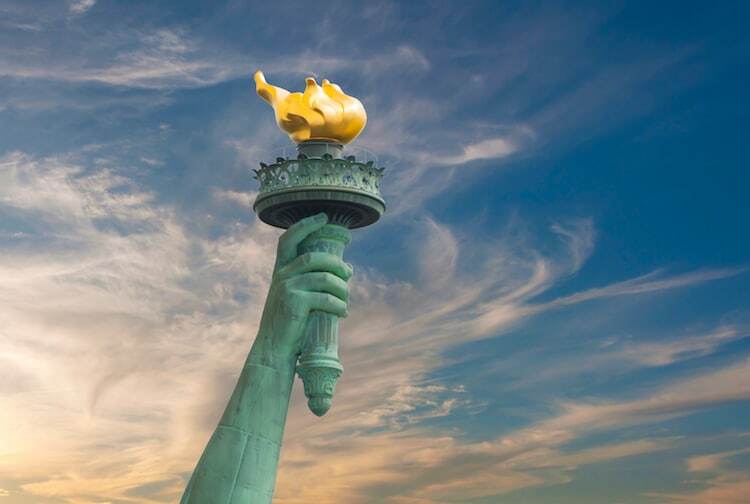 With these 11 enlightening facts about the Statue of Liberty, we hope to shed some light on the history of this iconic statue. While most people know the monument as the Statue of Liberty, this title is actually nothing more than a mainstream nickname. Officially, the sculpture was christened Liberty Enlightening the World (“La Liberté éclairant le monde”), a poetic name picked out by the French. While these monikers may vary, both designate the figure as a depiction of “Liberty”—a translation of the Latin Libertas, a Roman goddess who embodied the idea of freedom. France gave it to America in 1886. 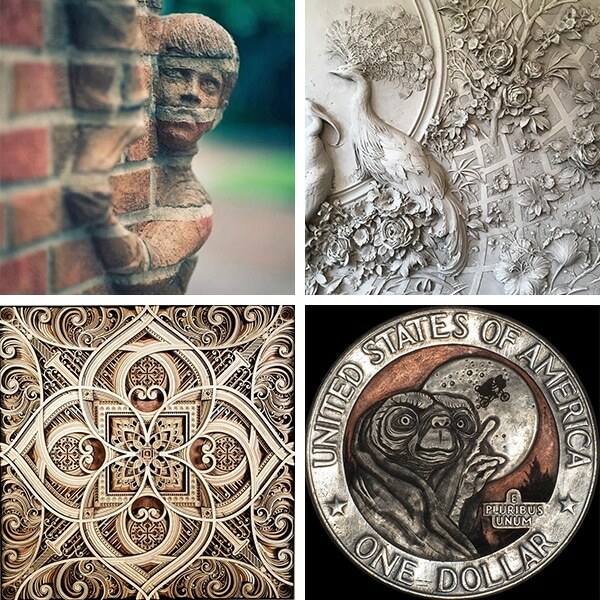 Wondering why the origin of the sculpture’s name can be found in France? The answer is simple: Lady Liberty is a French export! In 1875, French sculptor Frédéric Auguste Bartholdi and his team—including Gustave Eiffel, the designer of the world-famous Eiffel Tower—began constructing the copper statue as a gift to America. Specifically, it was intended as a gesture of friendship following the American Civil War. 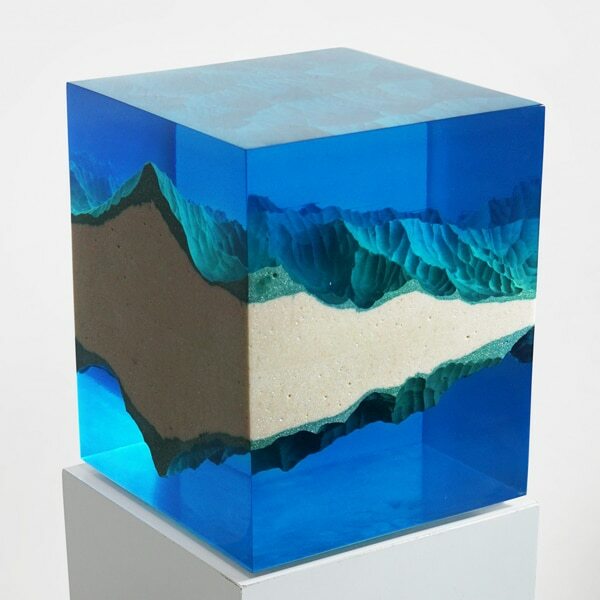 While the sculpture was still in-progress, pieces were exhibited at the World’s Fair in Paris—and, even today, mementos of the monument can be found in the City of Light. 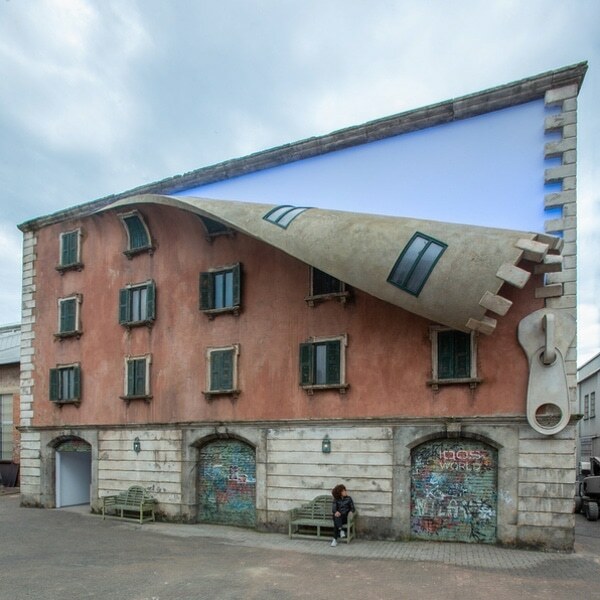 Small-scale copies are scattered around Paris. 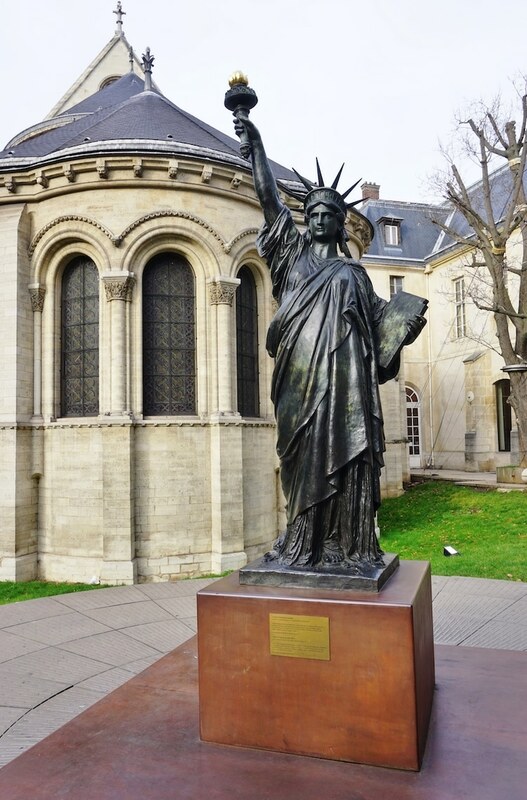 Throughout Paris, several replicas pay homage to Lady Liberty’s French roots. In the Musée d’Orsay, there is a 9.4-foot-tall copy cast by Bartholdi himself. This sculpture used to be in the Luxembourg Gardens. 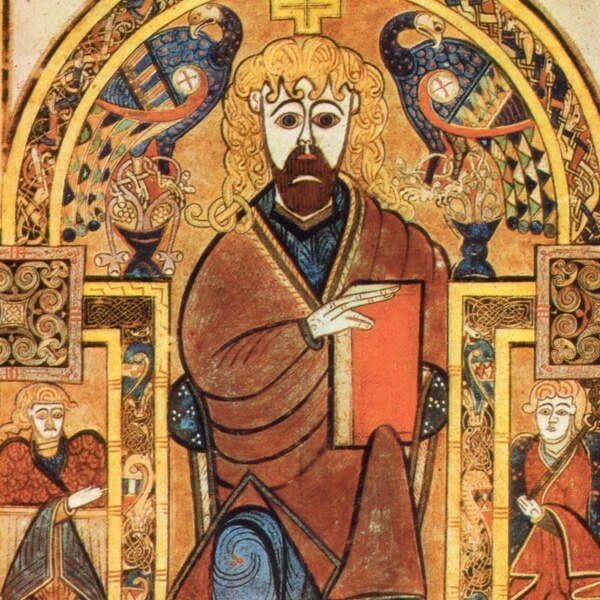 Today, a newer copy can be found in its original place. Another bronze replica of the same height stands outside the Musée des Arts et Métiers, a museum fittingly dedicated to industrial design. Inside the museum, visitors will also find the original plaster maquette crafted by Bartholdi. A final copy can be found on the Île aux Cygnes, a man-made island in the Seine River. This sculpture was actually a gift from America as a way to say “thank you” for Liberty Enlightening the World. The statue was brought to New York in pieces. 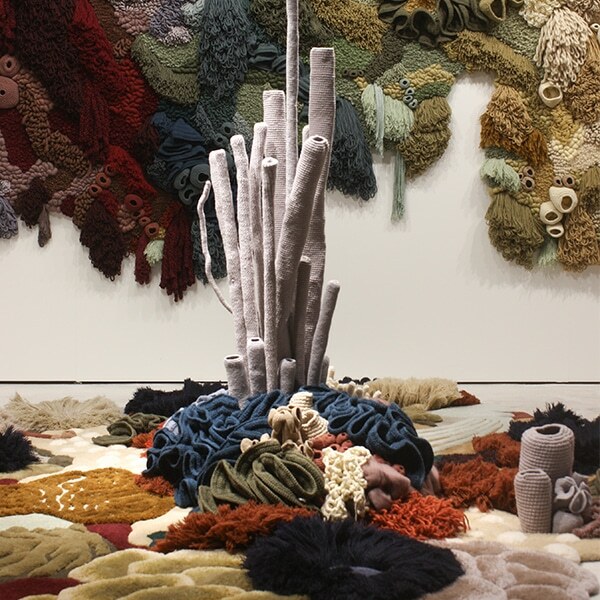 Given the substantial size of the New York-based sculpture, the French decided to ship it as a series of 350 parts. In 1884, once it reached Bedloe Island—known today as Liberty Island—it was pieced together and placed on a pedestal preliminarily built by the Americans. Two years after it made its grand debut in New York Harbor, Lady Liberty adopted an illuminating role. For 16 years, it doubled as a lighthouse, with the figure’s symbolic lamp serving as the beacon. Unfortunately, this light source proved too dim for ships to see, and the statue stopped operating as a lighthouse under the order of President Theodore Roosevelt. The statue is filled with symbolism. 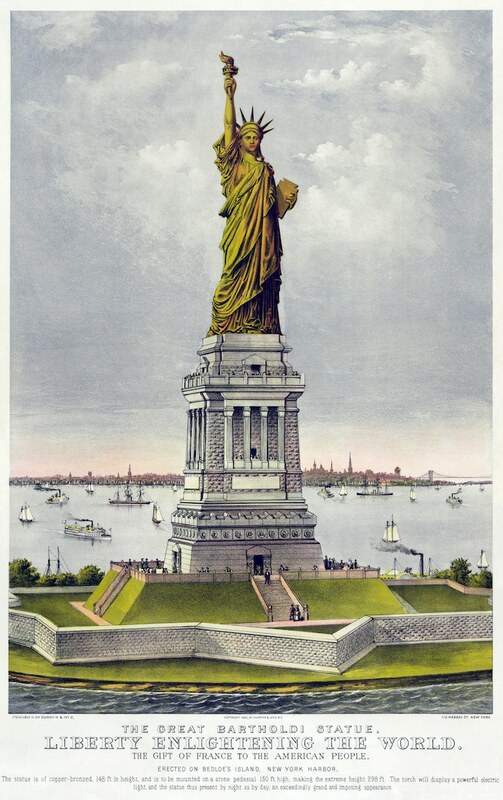 Still, even without a specific function, the Statue of Liberty continued to play an important role. Specifically, since its onset, it has been celebrated for its complex and comprehensive symbolism. From her head (her crown consists of seven rays, referencing the seven continents and seas) to her toes (her feet are shackled in chains that have triumphantly been broken), Lady Liberty is cloaked in metaphors. 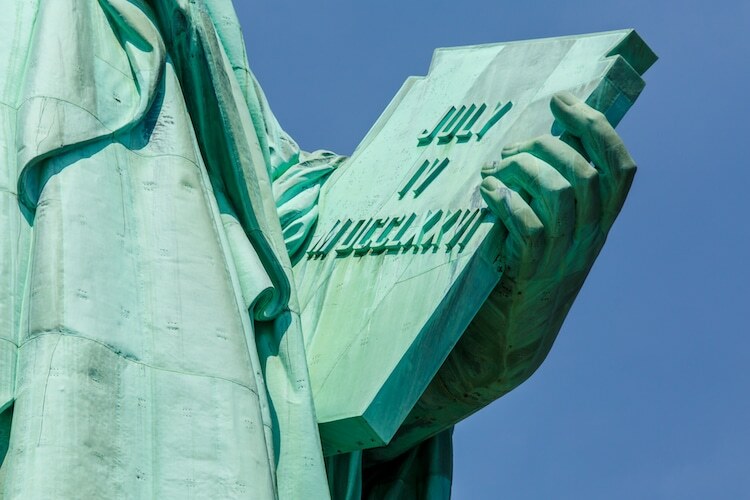 In one hand, a torch represents enlightenment; in the other, a tablet of the law is inscribed with “JULY IV MDCCLXXVI,” the date of American independence. Even her positioning is symbolic, as she faces South-East to welcome ships—namely, those carrying immigrants to the Unites States—into the harbor. Its famous inscription was written to raise funds for its construction. 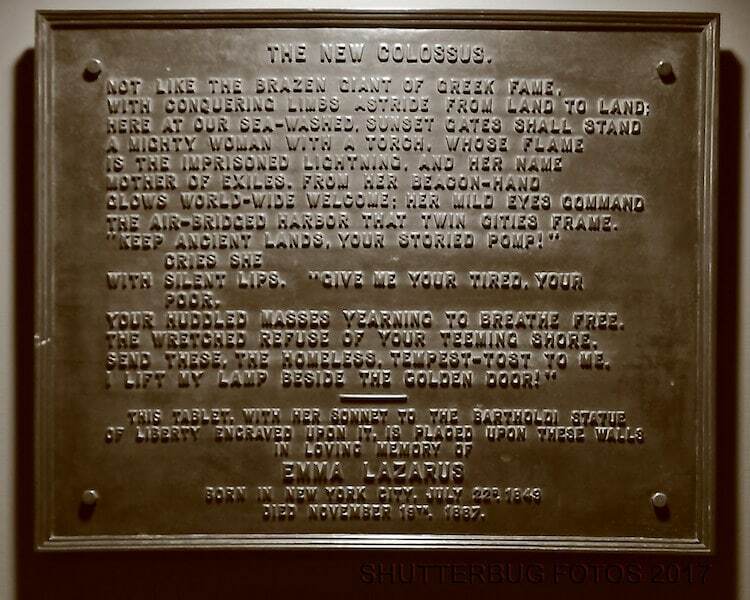 In addition to the symbolism of its strategic orientation, the statue is inherently associated with immigration because of The New Colossus, a poem inscribed on a plaque attached to its pedestal. Written by American poet Emma Lazarus, this sonnet—and, specifically, the lines: “Give me your tired, your poor, Your huddled masses yearning to breathe free”—has come to represent what the statue stands for. Lazarus penned this poem in order to raise money for the construction of the 89-foot stone pedestal, which the Americans were responsible for. The statue wears a size 879 shoe. 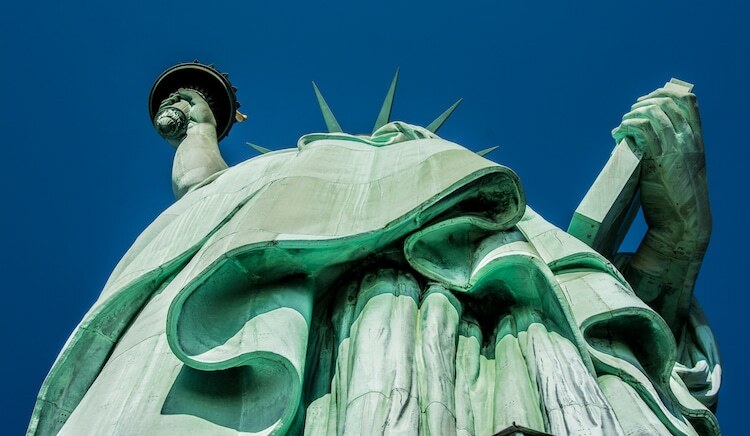 Given the immense size of this pedestal, it is no surprise that Lady Liberty weighs a whopping 225 tons—and has a height to match. 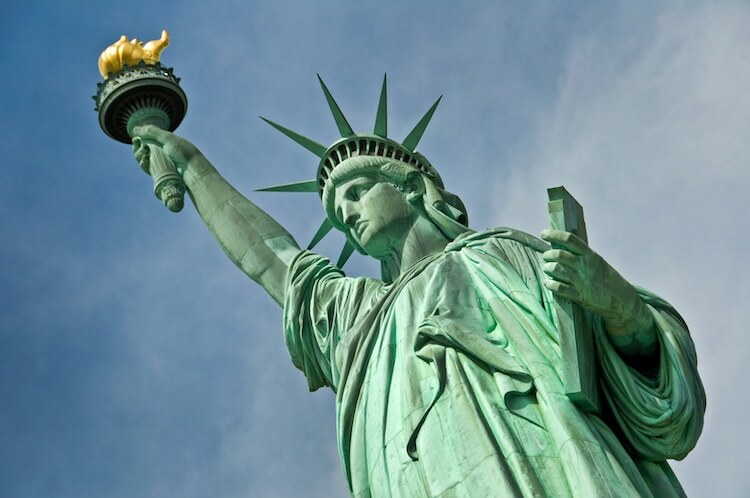 From the bottom of the base to the tip of the torch, the Statue of Liberty measures 305 feet and 1 inch tall. 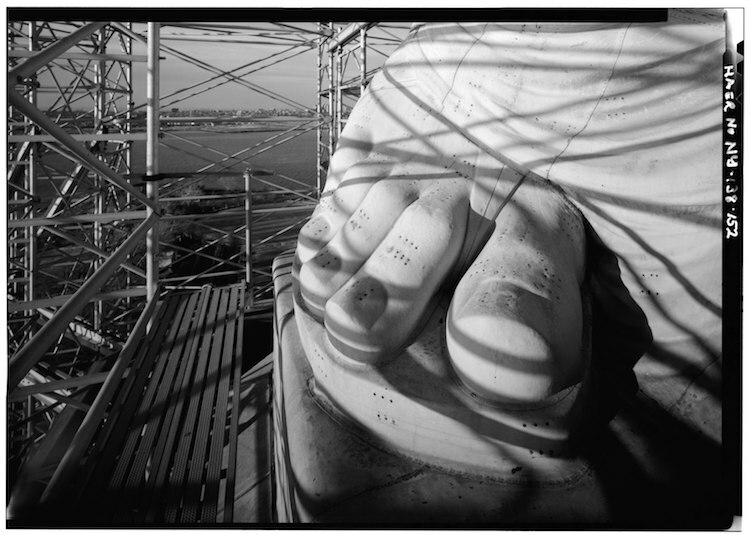 To climb to the crown, visitors must ascend 354 stairs, or 20 stories, with Lady Liberty’s size 879 shoe serving roughly as a halfway point. 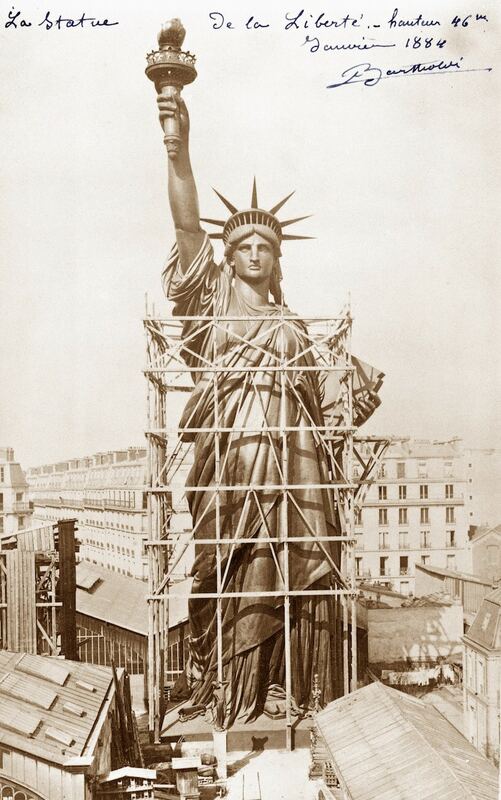 In the 1980s, Lady Liberty received a much-needed makeover. To mark its centennial, the Statue of Liberty was renovated from 1984-1986. This restoration project was a team effort made possible by scientists, engineers, government organizations, and other professionals. 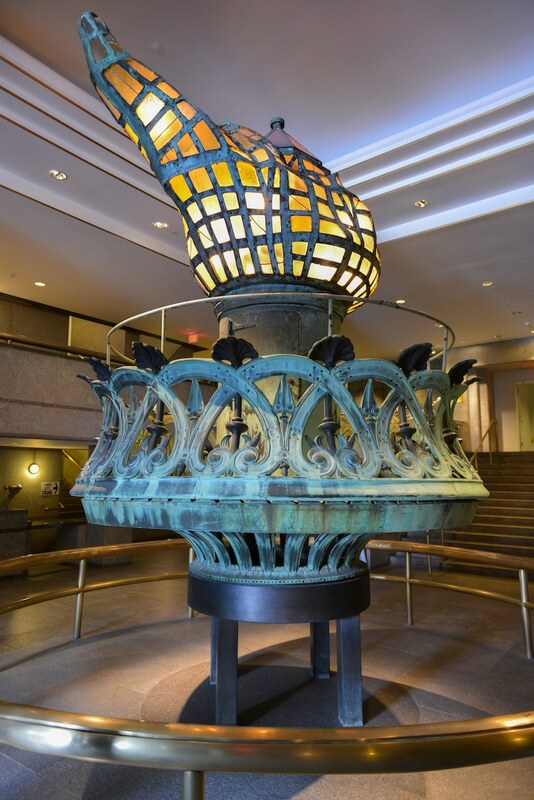 It was a huge undertaking, which involved filling holes in the copper, replacing rusted iron pieces with stainless steel substitutes, and adding a dazzling gold-leaf touch to the torch. Its green color, however, is here to stay. While the restoration team throughly cleaned the statue’s copper surface, its iconic green color remained. Known as a patina, this coating is a result of the copper’s oxidation. So, while the sculpture was originally the reddish-brown color of a penny, it has gradually turned a shade of jade green—and will remain that color for years to come. Every year, 4.5 million people visit the statue. 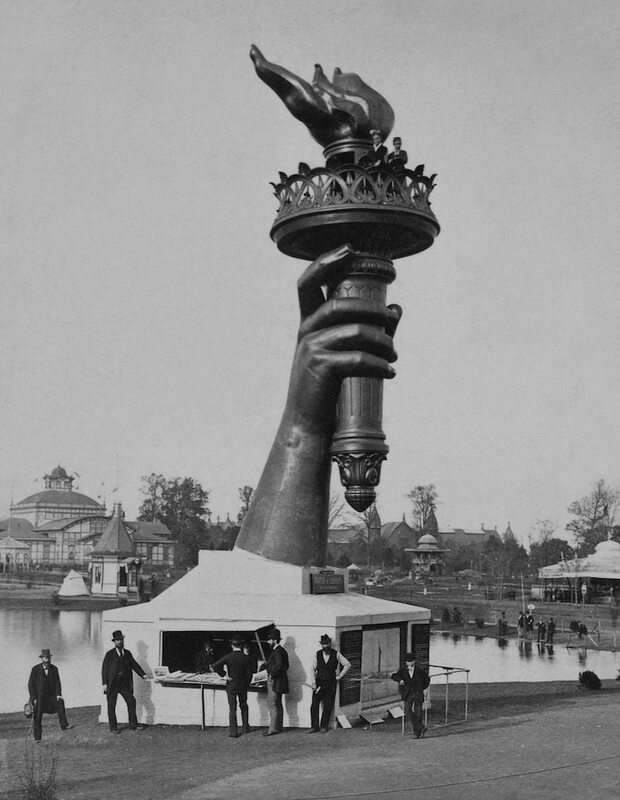 Over 100 years later, the Statue of Liberty continues to climb in popularity. Every year, 4.5 million people flock by ferry to see the sculpture—and, in May of 2019, to visit the new Statue of Liberty Museum. My Modern Met Tip: CityPASS is the best way to see New York City’s top attractions—they’re bundled to save you 42% on admission. Included are The Metropolitan Museum of Art, Guggenheim Museum, Ferry Access to Statue of Liberty and Ellis Island, 9/11 Memorial & Museum, and Empire State Building. And better yet, when you have the pass, you’ll get priority entry into some of them. It’s a win-win!